The Hawks got a huge contribution from Papa Ndao as they were able to take down the top-ranked Flyers and advance to the A-10 Tournament Championship. Ndao had a career-high 14 points including some timely shots that helped fend off the feisty Flyers. St. Joseph’s got off to a pretty good start and ended up taking a 7 point lead going into halftime. Dayton would try to make a run, but each time it got close, Ndao would hit a dagger shot that pulled the Hawks further away. Towards the end of the game, the deficit just became too much for the Flyers to overcome. They’d get some steals in the final possessions, but the Hawks would hang on to get their second straight win in this tournament. Papa Ndao had a nice night for St. Joe’s, but Isaiah Miles was the star of the show with 26 points and 9 rebounds. His contributions were huge, especially considering conference player of the year DeAndre’ Bembry only had 9 points. Also scoring in double figures for the Hawks was Aaron Brown with 16 points on the night. Dayton was led by Dyshawn Pierre with 22 points. Scoochie Smith scored 14 points while Charles Cooke had 13. Kendall Pollard rounded out the double digit scorers with 11. It was a choppy game for both teams as the Hawks committed 18 fouls and the Flyers committed 21. St. Joseph’s will move on to face VCU in the championship game of the Atlantic 10 Tournament. The Flyers will be eliminated but will undoubtedly hear their names called on Selection Sunday. Dayton, and St. Joseph’s, will more than likely be in the NCAA Tournament this year. The Rams got off to a good start and never looked back when they faced off against Davidson on Saturday in the A-10 semifinals. The Rams were led by Korey Billbury with 17 points on the night, and they held the Wildcats to just 20-54 (37.0%) from the field. Davidson, though it found some offensive success against St. Bonaventure, found VCU to be too much to handle. 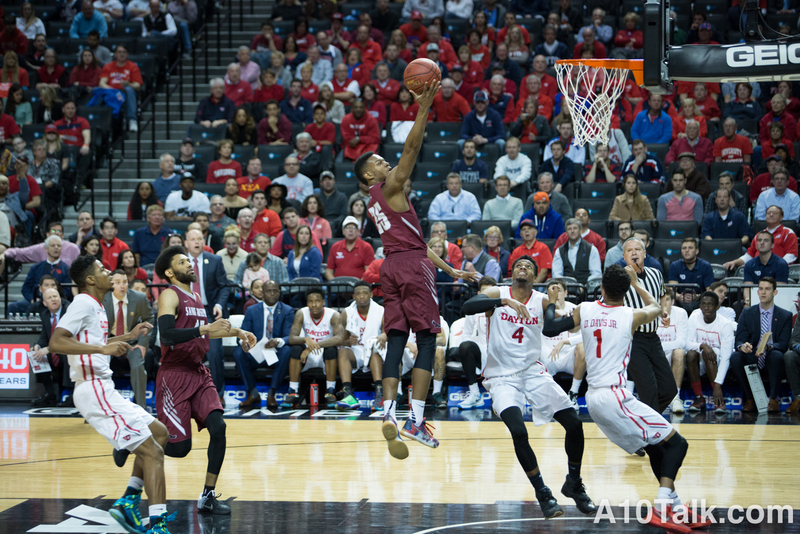 They’ll be eliminated from the A-10 Tournament and willl likely play in the NIT this season. VCU moves on to face St. Joseph’s in the A-10 Tournament Championship. The Rams will meet the Hawks, who they beat in Hawk Hill earlier this season 85-82. There’s More Than One Game in Town, and its Exciting!